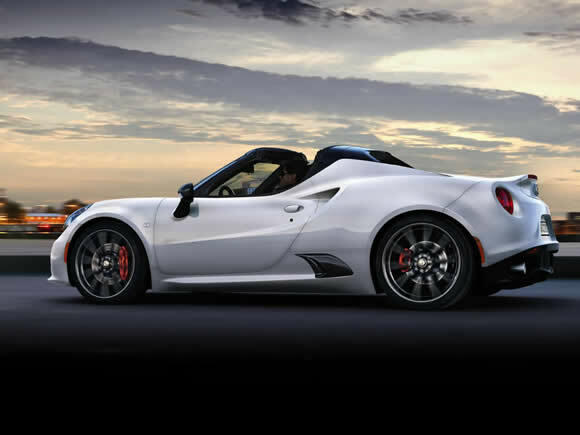 The Alfa Romeo 4C Spider is a featherweight high-performance roadster, hand-crafted from composite materials in a truly modern form yet with the feel of a classic Italian supercar. SMC (Sheet Moulding Compound) composite bodywork clothes an almost entirely carbon-fibre chassis and rear frame. 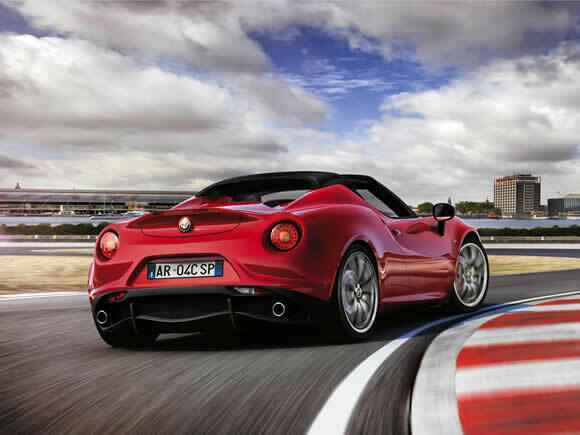 While the design features details from Alfa’s extensive sportscar past it undeniably has the flavour of a baby Ferrari. Inside the theme continues. it feels a very special place to sit despite inheriting a few components from cars further down the range. In keeping with the cutting-edge concept, there are modern features such as LCD displays rather than classic chrome-rimmed dials. Luxuries are few, the 4C Spider is intended to be closer to a track car than a luxury cruiser. The performance is as breath-taking as the styling. Power comes from an engine now common in the Alfa range – the 1750cc all-aluminium four-pot, but it is turbocharged and thanks to the cars advanced construction it is able to put every one of its 240 horsepowers to good use. There is no manual gearbox option with each car getting a racing-style dual dry clutch transmission. Stopping-power comes from Brembo high-performance brakes. 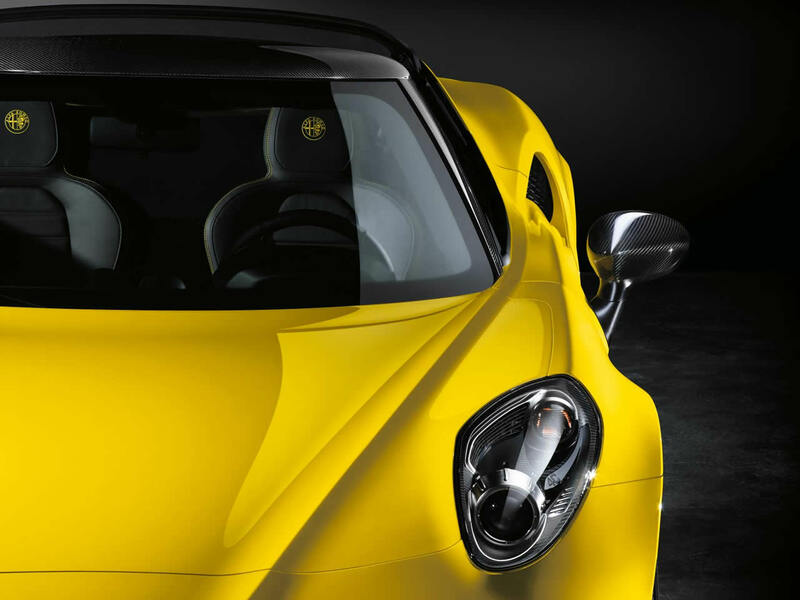 In addition to the manually removable fabric roof panel, the Spider has some other details that differ from the Coupe. These include more traditional headlights, a new exhaust and engine hood. The chassis also received an additional 45kg of stiffening to improve torsional rigidity. 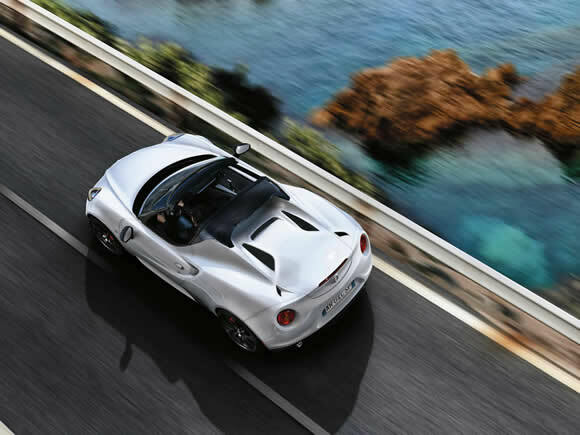 The 4C was chosen as the car to relaunch the Alfa Romeo brand within the US market in 2013 with the Spider following the Coupe model 2 years later. 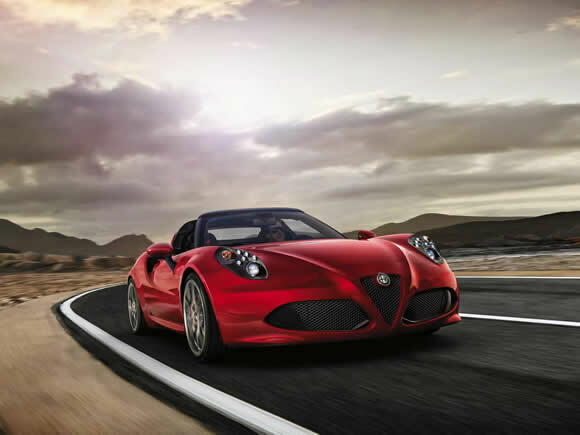 As a baby supercar, the Alfa has few competitors with most of its rivals more refined and less driver focussed. If it isn’t already exotic enough, every owner can remember that their Spider was assembled by hand in the Maserati facility in Modena, Italy. To celebrate 50 years of the Alfa Romeo Spider 50 numbered limited edition cars were built with a host of normally optional extras as standard. The mechanical specification was unchanged from the standard car. 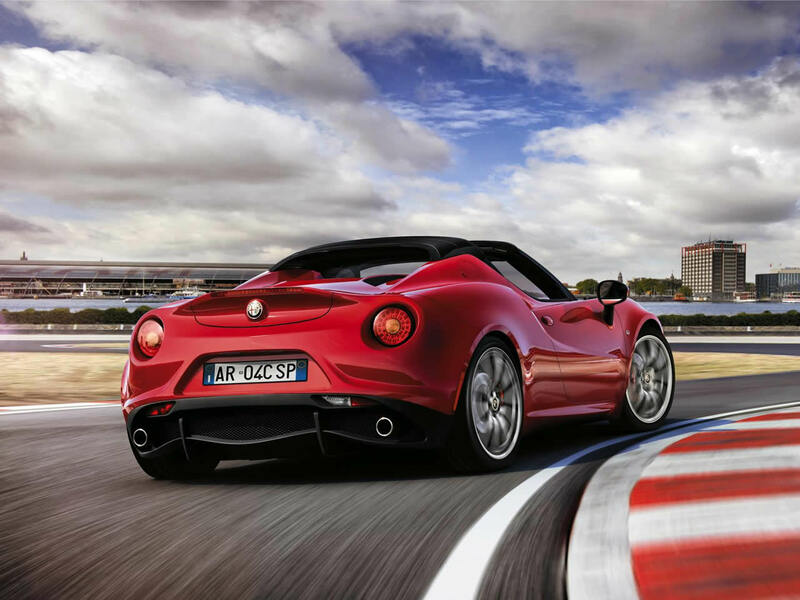 Do you drive an Alfa Romeo 4C Spider? Would you recommend it to others? Start the conversation and let us know what you think of the car.